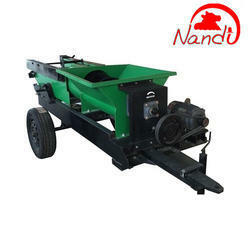 Silage Packing Machines are Useful for Preparing Silage for Commercial Sale. Silage Contractors Use Our Silage Packing machine to make good quality silage to sell further to dairy farmers. Silage Tube Packing Machine is good to pack silage tube with good compaction. This machine is good for contractors involved in selling silage to dairy farmers, also for farmers who want to pack and store the silage for their own use. Machine can be contracted to work on the field to pack silage quickly. Since it has 2 wheels it can be transported everywhere to work. This machine reduces wastage of maize and similar silage crops. It packs the fodder in air tight tube, also it is easy for storage and handling. This silage tube can be re used if proper care is taken while handling. We are the leading manufacturers & suppliers of Silage Baler. Owing to our expertise in this field, our firm is engaged in supplying an extensive array of Silage Press Machine. age Tube Packing Machine is good to pack silage tube with good compaction. 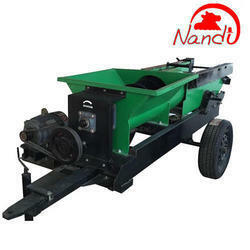 Looking for Silage Packing Machine ?